This paper investigates whether there is such a thing as a subfield of the sociology of art and culture. This requires proving that a population of sociologists of art and culture exists both in itself and for itself, meaning that it is both objectively and subjectively distinct from the population of sociologists taken as a whole. Informed by network analysis, our study of the space of the congresses held by the Association française de sociologie (AFS) reveals that neither the speakers in the thematic network of the sociology of art and culture (RT14) nor the sociologists who present papers on art and culture form a distinct group with a strong investment in the same sociological speciality: specialities do not necessarily make specialists. Lastly, the paper shows that while some sociologists of art and culture are objectively and subjectively specialized to a high degree, this is not enough to constitute a genuine subfield. La sociologie de l’art et de la culture est-elle un sous-champ de la sociologie ? On peut parler de sous-champ de la sociologie de l’art et de la culture si on parvient à mettre en évidence l’existence d’une population de sociologues de l’art et de la culture à la fois en soi et pour soi, c’est-à-dire à la fois objectivement et subjectivement distincte de la population des sociologues dans son ensemble. 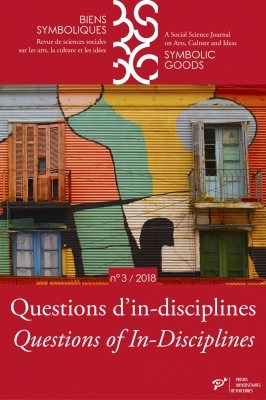 L’étude de l’espace des congrès de l’AFS – notamment au prisme de l’analyse de réseaux – révèle que ni les seuls communicant·e·s du réseau thématique [RT] de sociologie de l’art et de la culture (RT14), ni l’ensemble des communicant·e·s sur l’art et la culture ne constituent un groupe distinct et fortement investi dans une seule et même spécialité sociologique. Ainsi, les spécialités ne font pas nécessairement les spécialistes. L’article montre enfin que si une partie des sociologues de l’art et de la culture ont un haut degré de spécialisation objective et subjective, cela ne suffit pas à faire exister un véritable sous-champ. ¿ La sociología del arte y la cultura es un sub-campo de la sociología ? Podemos hablar de sub-campo de la sociología del arte y la cultura si logramos evidenciar la existencia de una población de sociólogo.a.s del arte y la cultura en sí y para sí, es decir, objetivamente y subjetivamente diferente de la población de sociólogo.a.s en su conjunto. El estudio del espacio del congreso de la AFS – especialmente a la luz del análisis de redes – revela que ni lo.a.s ponentes de la red temática [RT] de sociología del arte y la cultura (RT14), ni el conjunto de los ponentes en arte y cultura, constituyen un grupo diferenciado y fuertemente consagrado a una única especialidad sociológica. Así, los especialistas no necesariamente “hacen de” especialistas. Finalmente el artículo muestra que si bien una parte de los sociólogos del arte y la cultura poseen un alto grado de especialización objetiva y subjetiva, ello no basta para hacer existir un verdadero sub-campo. 1. Thematic Network RT14 as a Subfield? 2. Speakers on Art and Culture as a Subfield? 3. Sociologists of Art and Culture in Themselves and for Themselves as a Subfield? This paper began with a presentation at the conference “La ‘sociologie des arts et de la culture’ et ses frontières. Esquisse pour une auto-analyse” (6-7 November 2014). In addition to the two authors, three RT14 thematic network board members—Annabelle Boissier, Florence Eloy, and Séverine Sofio—had agreed to have a go at objectivizing their network. Although we went on to pursue this research further without them, our work is indebted to our initial group discussions, which were strongly informed by a quantitative study based on the journal Sociologie de l’Art-OPuS (Sofio 2013). We also wish to thank the editorial board of Biens symboliques / Symbolic Goods, including in particular Frédéric Chateigner and Jérémy Sinigaglia for their criticism of earlier drafts of the paper, and Jean-Yves Bart for translating it into English. “The effect of specialization […] tends to reduce the universe of competitors by dividing it into more and more narrowly specified fields” (Bourdieu 1976: 99). The sociology of art and culture1 has been recognized as a speciality in France for at least thirty years (Moulin 1999). But is it, as Bourdieu’s hypothesis suggests, a subfield of sociology—in the sense of a structured social space with opposing positions and a relative degree of autonomy (with its own stakes, personnel, specific capital, costs of entry, hierarchy, etc.)? A necessary—albeit insufficient—property of a field, and by extension of a subfield, is that it is made up of individuals who objectively partake in the same social activity and share a bond, to the extent that they have a set of beliefs and interests in common and may become invested in specific issues2. In other words, if we transpose the concepts of “class in itself” and “class for itself” inspired by Marxist theory3, a field is characterized by the existence of a population of professionals both in themselves and for themselves; i.e., both objectively and subjectively close to each other and more distant from other populations of professionals. Under this approach, the hypothesis of the existence of a subfield of the sociology of art and culture will be proven if we manage to demonstrate that there is in fact a population of sociologists of art and culture in themselves and for themselves, which is distinct from the population of sociologists as a whole, especially in that sociologists in themselves and sociologists for themselves are more fully conflated. For the purposes of testing this hypothesis, we needed a population that was large enough not to be composed solely of sociologists of art and culture in themselves and for themselves, but small enough to be analysed effectively. Selecting sociologists who had published in journals specializing in the sociology of art or of culture, or who had presented papers at events held by institutions with “art” or “culture” in their name (such as the Association française de sociologie [AFS] thematic network#14 [RT14] named Sociologie des arts et de la culture), admittedly would have enabled us to trace the outlines of a population of sociologists of art and culture for themselves in the sense that they are identified as such and most likely forced to identify as such at least to some degree as a result4. Yet this would not have enabled us to establish to what extent that population actually brought together all sociologists of art and culture in themselves, meaning those sociologists who essentially work in “artistic” or “cultural” settings. By merging the populations of sociologists in themselves and of sociologists for themselves a priori, that methodological choice meant assuming autonomy rather than questioning it. By contrast, we might have sought to consider an exhaustive population of sociologists to ascertain if there was a clearly distinct sub-population among them, characterized by its objective and subjective specialization in the sociology of art and culture. But how would we have defined the outlines of such an exhaustive population? This approach risked being either empirically unrealistic or blind to the arbitrariness of the initial definition. If, for instance, we decided to consider all the individuals who completed a PhD in sociology over a given period, this would mean leaving out an entire set of individuals simply on the basis of status, disciplinary affiliation, and national origin. Our fieldwork site thus had to be a sub-space of sociology that minimized “costs of entry” (Mauger 2006) while maximizing the heterogeneity of its members—a twofold condition met by the space of the AFS congresses. The latter cannot be “considered as representative of French sociology” (Saint Léger & Van Meter 2005): not only do potential participants see their papers turned down each year (although selection is in general not very tough), but also, and most importantly, not everyone applies to participate in them (although the AFS congresses are important events in the sociological field). Yet these congresses bring together a very broad population: every two (sometimes three) years, they attract over a thousand participants from various countries, with varied disciplinary backgrounds and statuses, distributed between roughly fifty thematic networks [from now on: RT]. Also, taking into account several editions of the same event allowed us to reduce institutional selection biases. Ultimately, these congresses are just as valuable for the study of sociologists of art and culture as the Salons for the study of artists in the first half of the nineteenth century (Sofio 2009: 25). Our population is made up of the 349 individuals who presented a paper on art and culture at least once during the first five AFS congresses (Villetaneuse 2004, Bordeaux 2006, Paris 2009, Grenoble 2011, and Nantes 2013), regardless of their disciplinary affiliation or thematic network5. We identified these individuals by going through the titles of all scheduled presentations6 and the abstracts in cases where their content was uncertain. We consider “papers on art and culture” (N=465) to comprise the 147 presentations given within the thematic network RT14, but also the 297 presentations given in other thematic networks that could be grouped with those of RT14 because they were focused on similar objects of study (listed here in descending order of frequency in the corpus): literature, music, visual and digital art, film and TV series, dance, theatre, architecture, scholarly discourse on art and culture, cultural public policies, the circus, heritage, arts and crafts, photography, performing arts, and comics and graphic novels. For instance, we included a paper presented outside of RT14 on power relations in the work of Werner Herzog because its contents (the work of a film director) was directly related to the definition of art and culture used in RT14. Similar papers were presented within RT14, including one on violence and power relations in the novels of Amélie Nothomb. Incidentally, we also included fifteen presentations addressing design, publicity, comedy and perfume creation even though these objects were not investigated within RT14 until 2013, because the creative dimension of the subjects was highlighted. Lastly, we included six presentations which discussed other subjects, but featured comparison with artistic ones or referred to sociological research on art and culture. It is very likely, judging in particular by our own past experience as members of the RT14 board, that these papers would have been accepted in this thematic network. By starting from RT14 and its (French7) definition of art and culture while also including papers presented outside that network, we recognized that this institution contributes to the objective existence of the theme and to delineating its outlines, without reifying institutional boundaries. We also wanted to account for cases we had encountered upon our first examinations of the programmes, involving speakers who presented papers on the same research and in similar terms both in RT14 and in another RTs. For the purposes of analysing this population of speakers on art and culture, we built a prosopographical database drawing on data from the AFS programmes and (mostly) online data on each scholar (online CV, personal pages, Fichier central des thèses which registers every doctoral thesis in France, etc.). Source: Extract from the official booklet of the first AFS congress (Villetaneuse, 24th-27th February 2004). As our hypothesis draws on field theory, we might have been expected to investigate the objective relationships bringing the individuals in our population together or apart, by analysing multidimensional data, in order to evidence the internal structure of the space under consideration (e.g., Bourdieu 1988  on the French scientific field; Cappell & Guterbock 1992; Daipha 2001 on the US sociological field). However, this approach does not so much question the perimeter of a field or subfield but pre-constructs it. By focusing not on objective relationships between individuals but on effective ones, network analysis enables us to establish the field’s outer boundaries. Although its use is somewhat unusual in field theory, it is not only compatible with it but also complementary (Denord 2003; Sapiro 2006). Using network analysis in this way is not innovative per se; the novelty lies in using it to study AFS congresses, which were previously almost exclusively analysed using lexicometric analysis (Boudesseul 2005; Saint Léger & Van Meter 2005; Torny & Trabal 2006; Trabal 2005), or, more broadly, discourse analysis (Deshayes 2015). The study of speakers on art and culture, of their circulation in the thematic networks and their positions in the academic and cultural fields reveals that neither those presenting a paper in RT14 (part 1) nor the entire population (part 2) forms a distinct group that is strongly invested in the same sociological speciality. However, part 3 evidences the existence of a group of sociologists of art and culture both in themselves and for themselves, who appear to share partly distinctive features, although they do not constitute a genuinely autonomous space. According to the first AFS president, Daniel Bertaux, thematic networks are “venues for sharing and elaborating on specialized knowledge8.” RT14, for its part, presents itself as a “space for reflection on the disciplinary subfield to which it contributes to uniting9.” Accordingly, we must begin by investigating to what extent RT14 effectively constitutes an autonomous subfield within the space of AFS congresses. The analysis of the venues where art and culture are discussed shows that RT14 is neither monopolistic nor isolated. Speakers on art and culture do not necessarily speak within the thematic network dedicated to art and culture: such is the apparent paradox that emerges from our analysis of the presentations according to where they were given. The classification by thematic network of the 465 presentations in our corpus shows that RT14 is only one among (many) other thematic network venues for the production and diffusion of research on art and culture—although it undoubtedly remains the most prominent (Table 1). *The name of RT24 changed between 2004 and 2013, from “(Productive and reproductive) work, social relations, gender relations” to “Gender, class, race. Social relations and the construction of the Other”. **RT42 originally dealt with the “Sociology of expertise in the human and social science,” but this was made a part of RT27 in 2006. We use the term “elites” to refer to RT42 because it has been called “Sociology of elites” since 2011, and there are no pre-2011 papers presented in RT42 in our corpus. ***The total exceeds 465 papers and 100% due to the fact that 23 papers were presented in joint sessions between several thematic networks (two for 22 papers, three for one paper). How to read this table: we found 13 papers on art and culture among the entirety of the presentations made in RT10, amounting to 2.8% of the 465 papers—numbers are identical in RT37. Less than a third of papers on art and culture were presented in the thematic network dedicated to art and culture. What stands out here is the extent to which these papers are spread between the RTs: only 7 out of 49 networks did not host a single paper on art and culture between 2004 and 201310; what is more, they were mostly less prominent networks apart from the health network (RT19). Additionally, almost all of the forty-two networks where research on art and culture was presented included several such papers, which further shows that presenting papers on art and culture outside of the dedicated thematic network is a routine occurrence at AFS congresses. Table 1 also reveals that apart from RT14, two thematic networks regularly host presentations on art and culture: RT1 and RT27, with more than one in ten papers each. Only taken together do these three networks account for more than 50 per cent of papers on art and culture. However, these data do not take into account the relative size of the networks, and as such only give us a rough idea of the places where this research is most present. By relating the number of papers on art and culture to the overall number of papers presented in each network, Table 2 offers a reassessment of the relative importance of GT47, RT37 and RT41, and downplays that of RT1 and RT4. Thus, more than four out of ten papers presented in GT47 relate to art and culture (making it the second most prominent network on this theme in relative terms), versus barely one in ten in RT1 (making it the fifth network in relative terms). Overall, 9 out of 49 networks appear to be particularly likely to host papers on art and culture—nearly one in five networks. N.B. : This table only features RTs in which papers on art and culture are more frequent than the average (8.3%). How to read this table: we found 15 papers on art and culture among the 36 papers presented at GT47, i.e., 41.7% of presentations at GT47. While these findings tell us about how papers are distributed, they do not tell us about how those who present them are distributed. If we consider the individuals in our population, we are led to a similar observation: presenting a paper in RT14 is not the most frequent option for speakers on art and culture—indeed, nearly two thirds of the academics in question have never done so. RT14 therefore certainly does not have a monopoly on research on art and culture at the congresses. The same goes for first-time presentations, for which RT14 is not the most frequent option either (actually even less so) (Table 3). Since the inclusion of a paper in the programme of a given network is not a result of chance but of a deliberate application, we must infer that RT14 is only the first network chosen to present a paper on art and culture in relative terms. These first findings already suggest that speakers presenting papers on art and culture do not necessarily identify with this speciality, and therefore are not necessarily sociologists of art and culture for themselves. Yet the findings tell us nothing about the autonomy of the sociological practice of speakers in RT14. While RT14 is far from being the only venue for research on art and culture, it could have been an autonomous space where only some sociologists are invested. In practice, however, RT14 rather seems to be a key network for our population of speakers. This is first shown by the analysis of thematic networks of presentations according to the number of papers on art and culture of each speaker (Table 4): the more a speaker presents papers on the subject, the lower the likelihood of presenting them exclusively in RT14 (down to 0 per cent for five papers) and the higher the likelihood of presenting one in RT14 (up to 100 per cent for six papers). When one regularly presents papers on art and culture at the congresses, not doing so in RT14 is a rare occurrence; doing so only in RT14 is an even rarer occurrence (only 10 out of 97 speakers who presented two or more papers on art and culture did so only in RT14). *Paper presented in a joint session RT14/RT37. How to read this table: among the 54 speakers who presented two papers on art and culture, 7 presented their papers only in RT14, i.e., 13%. The virtual inevitability of RT14 for speakers on art and culture is made even more visible by network analysis, which probes the relations between the RT. For its purposes, we only considered the ninety-seven individuals who presented at least two papers on art and culture, as well as the eleven individuals who presented only one paper on art and culture in a joint session11, thereby linking two thematic networks, albeit in a different way. These 108 individuals, who account for 30.9 per cent of the population and 54.8 per cent of the 465 papers, linked 39 different RTs on 344 occasions12. 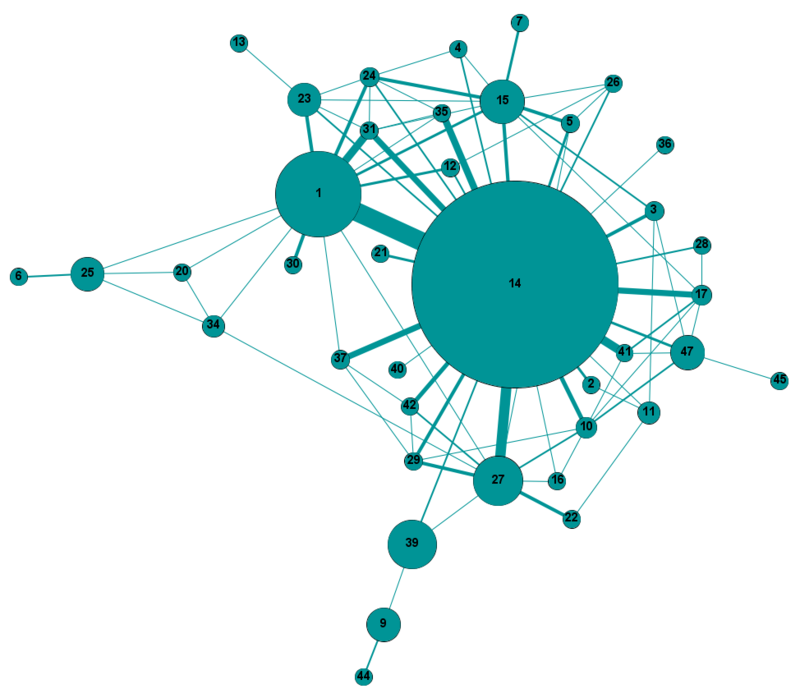 Network analysis can be summarily defined as the study of the relations between a given set of social units (Mercklé 2004: 4). In the case at hand, the units under consideration are not individuals but institutions—namely the thematic networks (RT) of the AFS. A relation exists between two RTs whenever an individual has presented a paper either in both, or at a joint session. As these are non-hierarchized mutual relations, the graphs describing them are undirected. Each circle (called “node” or “vertex” in network analysis) represents a RT; each line (“tie” or “edge”) between two circles indicates the existence of a relation between two RTs; and the thickness of each line is proportionate to the frequency of this relation. The length of the lines has no signification and depends on the algorithm used. The number of relations (or type of ties) between a node and others—here the number of RTs with which a given RT is connected—is called its “degree.” The degree of each node can be established by counting the number of lines starting from the node in question. The total number of ties between one node and others is the “weighted degree”—each relation (degree) may give rise to one or several ties. We can have an approximate idea of whether a node has a strong or weak weighted degree based on the graphs by considering the number and thickness of the lines. The graphs were made using the open-source software Gephi (0.9.1 version). We used the layout algorithm Force Atlas (repulsion strength: 10,000; attraction strength: 10). This force-based algorithm is particularly suited to evidencing distances and proximities, as it involves nodes repulsing each other like magnets, and edges attracting nodes that they connect like springs; these forces put nodes in motion until a balance is reached (Jacomy, Venturini, Heymann, Bastian 2014: 2). Graph 1 clearly displays the centrality of RT14 in research on art and culture. While it could have been a quantitatively significant but highly isolated—or at least peripheral—network, not only is the RT14 node characterized by the highest degree by far (twenty-seven versus thirteen for RT113, meaning it is connected to more than half of the other RTs), but the representation of node size according to its betweenness centrality also evidences its key role within this space14. We must infer from this that RT14, by hosting speakers who also present papers on the same themes in many other RTs, contributes to the dialogue between the individuals who conduct research on art and culture. Additionally, there are “structural holes” (Burt 1992) around it, and as a result it acts as a key intermediary between several RTs, being for instance the only one to link RT21, RT36, and RT40 to the rest of the network. Without it, not only would these three RTs be isolated, but the network would be less dense and the paths between nodes longer. Counterintuitively, RT14 appears to be less an autonomous place for exercising the profession of sociologist, and more a venue that connects sociologists to one another. However, we must qualify these observations by taking into account loops, i.e., ties linking an RT to itself resulting from multiple individual presentations of papers in a single RT, which are not shown in the network display of Graph 1. RT14, with 26 per cent of ties to itself out of the entirety of its ties, is strongly self-centred—even though this ratio is significantly smaller than in GT45 and RT28, and even RT27 and RT515 (Table 5). Presenting a paper in RT14 when one has already done so in the past is a common occurrence. Overall, while RT14 is a space for dialogue between researchers on art and culture, it remains a relatively closed space. RT14 thus appears to some extent composed of sociologists of art and culture for themselves. *A scholar who has presented several papers in the same RT gives the node loop an exponential weight that increases along with the number of papers presented (2 papers presented in a given RT → 1 tie; 3 → 3 ties; 4 → 6 ties). **Each node loop counts for two degrees (incoming and outgoing). Node loops are also counted in weighted degrees, based on loop weight. Ultimately, RT14 appears to be an ecumenical network rather than a hermetic one. In other words, it is not a subfield in the sense of an autonomous space, as institutional boundaries do not give way to genuine social boundaries, even though it may be the place of choice of sociologists of art and culture for themselves. We must thus turn elsewhere to test the hypothesis of the existence of a subfield of the sociology of art and culture. While we cannot refer to the small space of RT14 as a subfield, can the term apply to describe the wider space of speakers on art and culture? Although these individuals objectively share in the same activity, analysis of socio-academic properties shows that this population remains effectively relatively representative of the overall population of speakers at the congresses and is not characterized by specific capitals. Additionally, an examination of the entirety of their papers (not just those on art and culture) and PhD topics shows that speakers on art and culture almost never (solely) specialize in the sociology of art and culture. The first step here is to examine the situation of speakers on art and culture within the academic field. In terms of gender, status, and location of institutional affiliation, these individuals do not stand out from the broader population of speakers at the congresses. That our database contains solely papers on art and culture posed one challenge as we set out to determine whether or not the scholars in question form a distinct population—namely, finding relevant data for comparison purposes. For the 2004 and 2006 congresses, we drew on papers by Gérard Boudesseul (Boudesseul 2005; 2006), which provide indications of the general characteristics of speakers (gender, status, location of institutional affiliation). Yet these data have limited value for our research in that they are based on programmes, and accordingly on the often-approximate information provided by the speakers themselves, whereas we gathered our data mainly by conducting web searches in order to have more precise information. It is therefore difficult to establish whether the gaps between the two populations are effective or simply a reflection of differences in coding methods. This is most likely less of an issue when it comes to gender, and to a lesser extent location of institutional affiliation, than it is regarding status. Due to our need for comparative data, we also coded all speakers in the median congress of 2009 ourselves, based on a small set of indicators (those used by Boudesseul, to determine whether the gaps observed were short term or more lasting). It was not realistic to conduct this coding work either on a large set of features or on all congresses—1,048 scholars presented papers at the 2009 congress alone. Gender is the first criterion where speakers on art and culture do not particularly differ from the broader population of congress speakers. Table 6 indicates gaps of 6.6 points at the most, with an admittedly slightly higher proportion of women among the former, but only at two out of three congresses—which makes it impossible to conclude that this is a manifestly more feminine theme. The numbers on the 2011 and 2013 congresses, although we do not have data on all speakers, call for similar observations, with again a small majority of women which appears to at least partly reflect the state of sociology as a whole: between 2010 and 2013, there were 50.8 per cent of women among the applicants for qualification (eligibility for recruitment as a lecturer)16 in the 19th section (Sociology, Demography) of the French Conseil National des Universités and 55.4 per cent among those selected (Chenu & Martin 2016). Additionally, between 2004 and 2009, the share of women among speakers on art and culture increased17; the same applied, in similar proportions (roughly +7 points), for the overall share of women irrespective of theme: not only are the two populations not significantly different, but they also appear to follow the same trends. For the population of sociologists who presented papers in RT14, which by definition brings together speakers on art and culture, findings are similar. Unlike other RTs, there does not seem to be a significant gender cleavage: with 73 female speakers out of a total of 127 over the 2004-2013 period (i.e., 57 per cent of women), and 9 out of 22 for the 2006 congress (i.e., 59 per cent of men), RT14 appears far less feminized, for instance, than RT33 on “Family, private life and public life” (85 per cent of women in 2006, according to Boudesseul 2006), and far less male-dominated than GT3218 on the “Sociology of complex systems” (76 per cent of men in 2006, according to Boudesseul 2006). Likewise, the differences in status between the population of speakers on art and culture and the general population of speakers at the congresses appear fairly small (Table 7). **As in Boudesseul’s paper, this category includes individuals with varied status, including holders of permanent positions abroad, in private higher education, and researchers in private laboratories. ***Applied to Boudesseul’s data, this category includes corporate and independent sociologists. Applied to our data, it is broader, as it also includes tenured research engineers, project managers, instructors and students who are not PhD candidates at the time of their presentation. At most, we can observe a slight over-representation of PhD candidates among the speakers on art and culture both in 2006 and 2009. Gaps pertaining to other status categories are particularly small. Also, between 2006 and 2009, trends in the proportion of the respective status groups systematically converged: the share of PhD candidates and holders of permanent positions among speakers on art and culture increased, as did the share of their counterparts among the broader population of speakers at the congresses. Likewise, the share of PhD holders without a permanent position decreased between 2006 and 2009 both among the speakers on art and culture and among the broader population of speakers. The similarity in status of the speakers on art and culture and the overall population of speakers at the congresses can also be observed among the scholars who hold permanent positions in French public higher education and research. For 2009, Table 8 displays a remarkable similarity in terms of rank (A or B) and institutional affiliation (with a university or a research institute such as the French National Center for Scientific Research [CNRS], or the French National Institute for Demographic Studies [Ined]). *In France, a maître de conférences (MCF) position is roughly equivalent to senior lecturer or associate professor, except that MCFs have tenure. Academic positions are subdivided into two ranks: rank B requires a PhD and includes maîtres de conférences and chargés de recherche (the equivalent in research institutes such as the CNRS or the Ined); rank A requires an habilitation à diriger des recherches (HDR—habilitation to supervise research) and includes professors and directeurs de recherche (the equivalent in research institutes). Lastly, comparisons of the location of the speakers’ institutions of affiliation at the time of their presentation also yield small gaps (Table 9). Regarding the 2004 congress, they do not exceed five points, with slightly more Parisians among speakers on art and culture than in the broader population. Regarding the 2009 congress, for which the data come exclusively from our own coding and are more reliable, they do not exceed three points. Trends observed between 2004 and 2009 converge, with an increase in the share of foreign speakers both among speakers on art and culture and among the broader population of speakers. These results suggest that speakers on art and culture are far from a distinct group, being in fact fairly representative of the entire population of speakers at the congresses. In other words, they do not appear to be positioned at a particular spot in the academic field, characterized by specific capitals and an autonomous hierarchy. Therefore, they cannot be considered to form a specific space—of relegation or consecration—based on gender, status or geographical location. The existence of researchers on art and culture alone is not enough for a subfield of the sociology of art and culture to exist. It would be wrong to describe the population of sociologists under study as a population of specialized sociologists, interested only in “a special order of problem” (Durkheim 1960 : 356). On the contrary, speakers on art and culture and sociologists of art and culture in themselves are separate groups. There were 101 out of 349 speakers on art and culture who also presented papers on subjects other than art and culture at the congresses, i.e., more than 1 in 4 (28.9 per cent). However, this number is biased in the sense that the criteria for constituting our population make it impossible for speakers who present only one paper to present a paper on something different. If we exclude the 175 individuals who presented only one paper, we find that 58 per cent of speakers who presented several papers did one on something other than art and culture. Thus, not only are speakers on art and culture in dialogue with each other, but they are also often in dialogue with other colleagues. Accordingly, the division between AFS specialities does not overlap with a division between specialists. It might be precisely because they are far from forming a self-enclosed world that these versatile sociologists are not hierarchized according to autonomous logics. Analysis of speakers’ PhD subjects (based on title or abstract) suggests fairly similar observations. Among the 332 speakers on art and culture for whom we were able to find the title of ongoing or completed doctoral research21, 229 (69 per cent) could be considered as doing or having completed a PhD essentially addressing art or culture, but 97 (29.2 per cent) manifestly worked on another object of study. Among the former, only 152 (45.8 per cent) are or were pursuing a PhD in sociology or related disciplines; 7 (2.1 per cent) had two disciplinary affiliations including sociology; and 67 (20.2 per cent22) had a single disciplinary affiliation other than sociology. Overall, under half of the individuals in our population are doing or have done a sociology PhD on art and culture; ultimately, one does not need to have worked on art or culture during a PhD or to have done a PhD in sociology to speak on art and culture at the AFS congresses. In that context, specializations in sociology, if they occur at all, appear to be neither early nor necessarily permanent. This analysis shows that, like speakers in RT14, speakers on art and culture in no way form an autonomous sub-space within the space of congresses. The reason this population does not stand out from other sociologist population is probably that it is not objectively specialized23. In fact, only a minority among this population can be called specialized—the minority on which we will now focus. Within the population of speakers on art and culture, we were able to identify a sub-population of highly specialized speakers that does not blend either with the population of RT14 or with the overall population of speakers. Most of these objectively specialized individuals are also subjectively specialized regarding their institutional commitments. They are sociologists of art and culture both in themselves and for themselves, and appear to have distinct properties (being close to artistic and cultural disciplines and fields, and somewhat dominated within the academic field) that suggest a degree of autonomy. While speakers on art and culture appear to be more scattered between thematic networks than concentrated, more ecumenical than isolated, and more versatile than specialized, these general observations deserve nuancing by differentiating these speakers among themselves. Indeed, this group includes sociologists who are particularly specialized, and others who are not—or practically not. Among the 166 individuals in our population whose PhD subject is known and who have presented two or more papers at the congresses, 60 devoted or are devoting their PhD to essentially artistic or cultural questions and spoke exclusively on art and culture; conversely, 54 devoted or are devoting their PhD to questions that are manifestly not artistic or cultural, and spoke at least once about something other than art and culture. We subsequently call the first group “in themselves” (meaning “sociologists of art and culture in themselves”) and the second group “non-specialized” (meaning “non specialized speakers on art and culture”). Sociologists of art and culture in themselves stand out both in terms of proximity to artistic fields and disciplines and of the venues in which they presented papers. On the one hand, they appear to be particularly art- and culture-oriented, and not only in the sense that their sociological sites of inquiry are artistic or cultural. Within the academic field, this interest can first be observed by examining their disciplinary positioning. They have frequently completed artistic studies: while 33 out of the 177 speakers on art and culture (i.e., 18.6 per cent), whose master’s and PhD discipline of registration we are aware of, registered in one or several artistic disciplines24 during these final years of their higher education, this was the case for 15 out of the 43 in themselves (i.e., 34.9 per cent), but for none of the non-specialized. Conversely, the in themselves rarely graduated in disciplines other than the arts or sociology: 91 out of the 333 speakers (i.e., 27.3 per cent) were or are pursuing a PhD at least partly in a discipline other than sociology and the arts, whereas only 8 out of the 60 in themselves (13.3 per cent) were in the same situation. Therefore, where specializations in the sociology of art and culture might appear to be correlated to the permeability of disciplinary boundaries, they are in fact solely correlated to the permeability towards artistic disciplines—not towards the human and social science. The specific interest in art and culture can also be observed by examining activities outside the academic field. A not altogether insignificant proportion of speakers (N=58, i.e., 16.6 per cent) had drafted a report for the French Ministry of Culture, including 16 out of the 60 in themselves (26.7 per cent) and only 3 out of the 54 non-specialized (5.6 per cent). While in most cases this experience relates to the academic competencies of their authors, and can occur while they are full-time academics, it reflects a venture out of the academic field, as the recipients of these studies are in the cultural field. Being mindful that cautions apply when discussing small samples, we can also note that the in themselves appear to engage slightly more often in activities that have much less of a relation to their academic position than the reports: while 62 out of the 349 speakers (17.8 per cent) perform or have performed at least one professional function in the artistic and cultural fields, as artists (N=29), administrative staff (N=26) or experts25 (N=14), there were 15 out of 60 in themselves (25 per cent) in this case, as opposed to only 3 out of 54 non-specialized. Thus, it appears that openness to artistic and cultural fields and impermeability to sociological themes other than art and culture are correlated. Furthermore, comparative analysis of the circulations between thematic networks of sociologists of art and culture in themselves and of non-specialized sociologists shows two results. The first is that sociologists circulate in different venues depending on their degree of specialization; the second—and most important—is that the members of the in themselves group are, in addition to being the least versatile in their research activities, the least scattered at the congresses and the least ecumenical. Indeed, even though there are more of them (N=60, vs 54 non-specialized), they circulated only between 33 different thematic RTs between 2004 and 2013 (vs 37 RTs for their non specialized counterparts). Within these networks, they presented papers on significantly fewer occasions than the non-specialized, with only 232 ties related to their presentations, vs 356 for the second group. Comparison of Graph 2 and Graph 3 also shows that the importance of RT14 is very different for the two populations: not only is the RT14 node geographically central in the network of the in themselves and peripheral in the network of the non-specialized, but the proportional representation of node size based on weighted degree reveals that RT14 is the venue of choice for the former whereas it is of small significance to the latter. Additionally, while RT14 displays structural holes in the former case, linking RT2, RT3, RT11, and RT21 to the rest of the network, it only displays redundant ties for the latter. Ultimately, while RT14 is not only frequented by specialists, it acts as a haven for them. This suggests that many among these sociologists of art and culture in themselves are also sociologists of art and culture for themselves, for whom RT14, as the representative body of this branch of sociology, is an inevitable reference. The most specialized speakers on art and culture appear to have distinguishing features: they are relatively far from the other sociological themes and the other human and social science, but close to the artistic and cultural fields and disciplines, and therefore characterized by strictly artistic and cultural areas of interest. Yet this objective specialization does not automatically induce autonomy; it must come with a subjective specialization. To establish the extent to which the population of sociologists of art and culture in themselves overlaps with that of the sociologists of art and culture for themselves—i.e., researchers who agreed at a given point in their trajectory to be labelled as such by representative bodies of the sociology of art and culture—we selected four indicators of a strong subjective identification with the sociology of art and culture: contributed to the French journal Sociologie de l’Art-OPuS; drafted a report for the French Ministry of Culture; elected to sit on the RT14 board; presented a high proportion of papers at RT14. We assessed the degree of identification with the sociology of art and culture during the coding process. We picked the threshold of 2.5 points because it requires combining at least two indicators and because it is higher than the average of points obtained by the individuals who did not get zero points (2.45). Ultimately, the in themselves are 65 of the 349 speakers on art and culture (i.e., 18.6%); 188 speakers are concerned by neither of our indicators of identification (i.e., 53.9%). Objective and subjective specialization largely go hand in hand, as the for themselves are almost exclusively in themselves. However, in themselves and for themselves do not entirely overlap—out of forty-four objectively highly specialized sociologists, eighteen are not subjectively specialized (Table 10). How to read this table: out of 90 individuals, 26 can be called sociologists of art and culture both for themselves and in themselves, i.e., 96.3% of sociologists for themselves. We will now examine the sociologists of art and culture both in themselves and for themselves (N=26) in order to establish whether this sub-population has distinctive features that could attest to its autonomy. Due to the small number of individuals in this sub-population, the following findings must be taken with the requisite caution. However, there are indications that this population is relatively dominated within the academic field. First, we observed a marked over-representation of women among these sociologists (65.4 per cent, vs 54.2 per cent of all speakers on art and culture). We also noted (Table 11) that their academic trajectory is more often regional (this is suggested by the place where they received their master’s degree, completed their PhD and secured their first permanent posting), less prestigious (with lower proportions having studied in the coveted top Parisian schools29), and slower (their waiting time between PhD defence and securing their first permanent posting being generally longer). How to read this table: 67 out of the 166 speakers on art and culture did their master’s degree outside the Paris region, i.e. 40.4%. If we only consider the 23 sociologists in themselves and for themselves among them, 12 are in the same situation, i.e., 52.2%; this applies to 55 out of the 143 other speakers on art and culture, i.e., 38.5%. 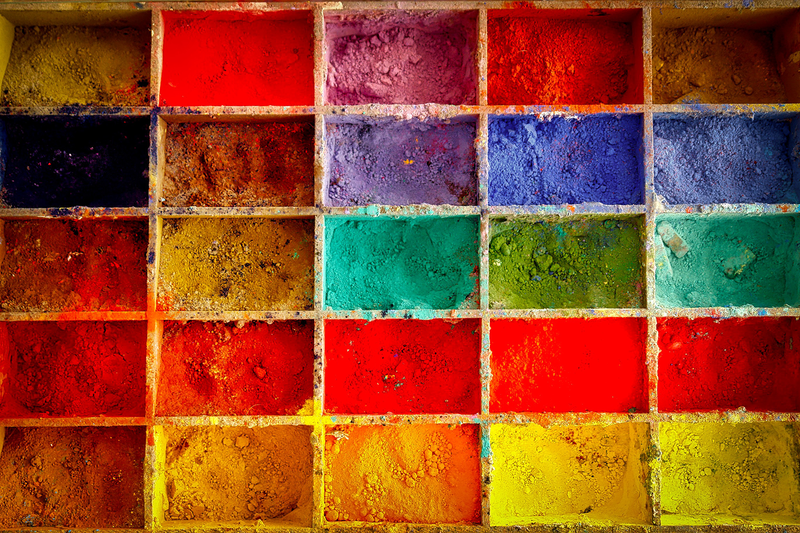 As the sociologists of art and culture for themselves also happen to be—with one exception—sociologists of art and culture in themselves, an examination of the indicators of subjective specialization sheds light on these findings pertaining to academic trajectory. Indeed, agreeing to be identified as a sociologist of art and culture means existing in bodies whose academic position is not dominant. Sociologie de l’Art-OPuS was for instance not among the top journals in the rankings published by the government evaluation agency AERES in July 200831. As it manifests a partial exit from the academic field, the drafting of a report for the Ministry of Culture leads to a publication whose academic weight is lower than that of a paper in a scientific journal. Lastly, RT14 itself does not hold a dominant position either, which we see if we compare the composition of its board with the boards of two other networks where speakers on art and culture often present papers—RT1 (labour) and RT27 (intellectuals)—and with the board of RT4 (education), for which the data at our disposal are more reliable and more comparable across time, and which is among the biggest AFS thematic networks in terms of papers presented between 2004 and 201332, second only to RT1 (Table 12). The RT14 board elected in 2013 included more than 80 per cent of women (vs two thirds in RT4 and less than one in five in RT27) and under a third of holders of permanent positions (all ranked B), whereas the majority of board members in RT27, and to an even greater degree in RT4, had permanent positions, and featured a significant number of A-ranked academics. We also noted the absence of PhD candidates on the RT4 board, even though they constitute one of the best-represented categories on the RT14 board, along with PhD holders without a permanent position. Analysis of the boards elected in 2015 also reveals that women are more represented in RT14 than in RT1 and RT27, PhD candidates are found in higher proportions and A-ranked academics in permanent positions in lower proportions in RT14 than in RT1 and RT4, and the share of academics in permanent positions is smaller in RT14 than in the three other networks. The in themselves and for themselves appear to share several distinguishing features: they occupy a relatively dominated position in the academic field33, both in terms of gender and of institutional trajectory, and their proximity to artistic and cultural fields and disciplines can be described as a specific capital. Thus, they do appear to belong to a space “which, although hierarchized, offer[s] [an] autonomous hierarch[y]” (Bourdieu 1988: 283). Does this mean there is such a thing as a subfield of sociologists of art and culture in themselves and for themselves? The study of their PhD examination panels does not allow us to fully validate our initial hypothesis of a genuinely autonomous space. Inspired by Olivier Godechot’s research (Godechot 2013), network analysis applied to co-presences in the PhD panels for speakers on art and culture shows that the sociologists of art and culture in themselves and for themselves are in effect not that distinctive within the sociological field. If we compare the network formed by co-presences on the PhD panels of the in themselves and for themselves (Graph 4) and the network formed by co-presences on the PhD panels of all speakers on art and culture (Graph 5)34, it appears that the first network is more a smaller version of the second than a radically different one. There would most likely be a much more significant deformation if we compared the network of the PhD panels of speakers on art and culture with the network of all congress speakers that we observe here by simply increasing the degree of specialization in art and culture. Furthermore, if the space of the most specialized sociologists of art and culture were autonomous, i.e., situated at a particular point in the academic field, the network formed by their PhD panel members would be less diverse than the same one pertaining to speakers on art and culture, and panel members belonging to the same modularity class in the global network would frequently end up in distinct classes in the specialist network. In effect, we observe highly varied structural positions (for instance, in the specialist network, we find panel members who are very far apart in the global network, like Anne-Marie Green and Didier Demazière) and a relative inertia of modularity classes. Additionally, the most central nodes are often the same (Bruno Péquignot, Bernard Lahire, Christine Détrez, Gérard Mauger, Gisèle Sapiro, etc. ), even if we note some variations that appear to be inversely correlated to the panel member’s academic capital (for instance, Pierre-Michel Menger is not in the specialist network, whereas Sylvia Faure has a central place in it)—which further indicates the relatively dominated position of that space. How to read this graph: Anne-Marie Green sat on several occasions with Rémy Ponton, musicologist Danièle Pistone and political scientist Emmanuel Wallon (and only them) on PhD panels of the in themselves and for themselves. 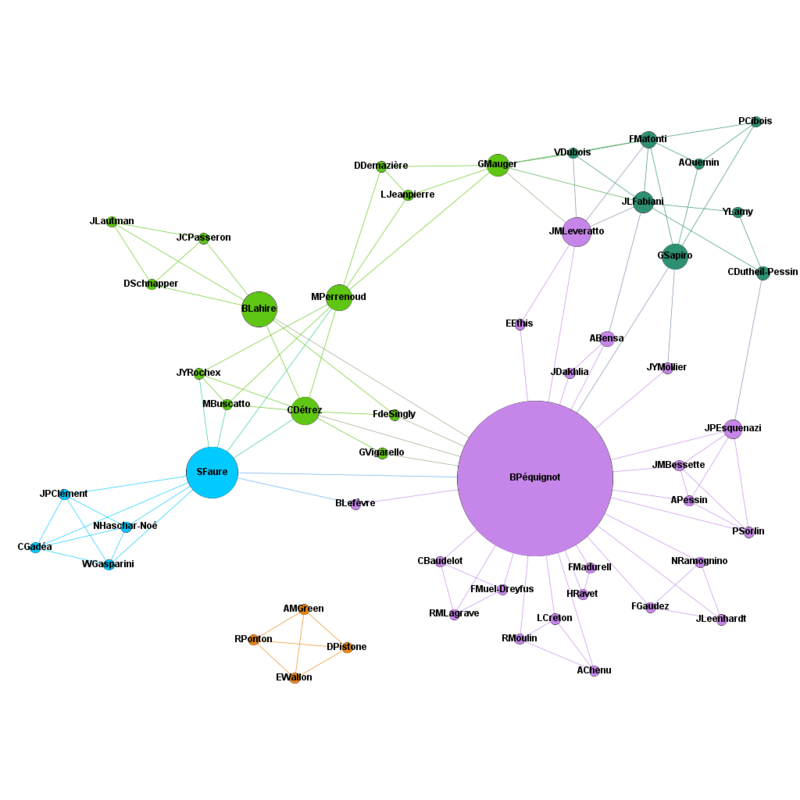 These four nodes form a particularly distinct modularity class (in orange) because they are closely related to each other and at the same time very far from the rest of the network. 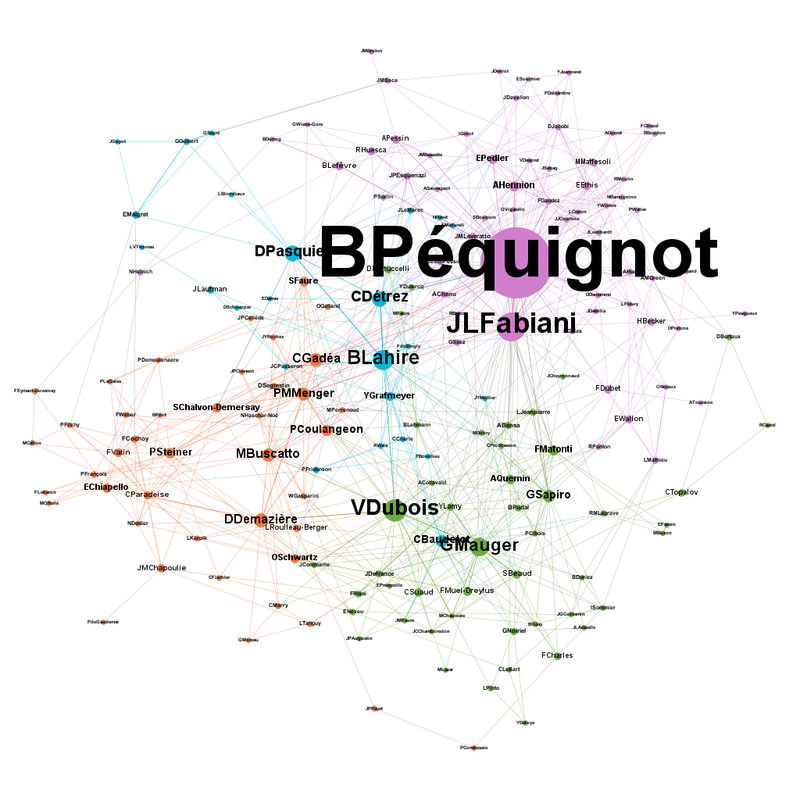 How to read this graph: Bruno Péquignot is the most central node in the network, as he frequently sits on examination panels alongside others who are rarely, if ever, together, such as Raymond Boudon, Michel Maffesoli, Pierre-Michel Menger, Bernard Lahire, Danièle Pistone, etc. However, he is closer to the examination panel members in his modularity class (in purple) as he shares the most ties with them. Lastly, examination of the network of PhD panel members of the in themselves and for themselves suggests that our previous observation regarding their relationships with the arts deserves nuancing. Indeed, we find mostly sociologists in these networks, where we might have assumed that a strong specialization in art and culture would mean more representatives of artistic disciplines on PhD examination panels. In other words, while specialization reflects areas of interest that show in disciplinary affiliations during higher education, it leads to a re-centring on sociology at the point when their academic capital is publicly certified. Specialization in art and culture cannot therefore be interpreted as the pursuit of autonomous rewards characterizing an autonomous space. Whatever degree of autonomy there may be here is very limited. As the structure of this space appears to mirror the structure of the sociological field as a whole, it seems ultimately difficult to argue that we are dealing with a genuine subfield of sociology. The most common way of addressing the coexisting themes studied in sociology appears to consist in envisioning them as sub-disciplines, functioning as relatively autonomous subfields. For instance, the sociology of art and culture in France has been characterized as a “sub-discipline” by Olivier Alexandre (Alexandre 2015), a “disciplinary subfield” by Bruno Péquignot (Péquignot 2005) and a “field of sociological research” by Vincent Dubois (Dubois 2007). Likewise, Gérard Mauger described the “sociology of juvenile delinquency” as a “subfield of sociology” (Mauger 2005). This conception of intra-disciplinary subdivisions is not the preserve of French sociology: Étienne Ollion noted that the sections of the American Sociological Association, the products of the “process of diversification and specialization” of US sociology, overlap with “thematic subfields” and both “form their structure” and “ensure their existence” (Ollion 2011: 286‑288). In this paper, we have used the case of the speciality called “sociology of art and culture” in France to challenge this common perception of the sociological discipline, by putting it to the test rather than accepting it as a given. This theme may admittedly be institutionalized, particularly through RT14, but does that warrant describing it as a “subfield”? Our analysis of the properties of speakers on art and culture and their circulation between the AFS thematic networks first shows that, if a subfield exists, its boundaries are clearly not the same as those of its namesake RT. Our findings also show that speakers on art and culture as a whole do not form a subfield. When it comes to the sociologists of art and culture in themselves and for themselves, their high degree of objective specialization is not sufficient to bring a genuine subfield into existence. While they appear to have distinctive features, they do not always stand out significantly, particularly when the time comes for them to have their capitals certified and accordingly to position themselves in academia. Furthermore, the in themselves and the for themselves do not entirely overlap: being objectively specialized without feeling subjectively invested in that activity remains possible—a gap that contradicts the very idea of a fully formed subfield. Based on the case of the sociology of art and culture, the institutionalization of the AFS thematic networks in French sociology appears to have paradoxical effects. Although the networks call for specialization and encourage autonomy, they are also spaces for dialogue that are conducive to openness; they appear to be both a scattering and a cohesive force in the sociological field. Specialities do not necessarily make specialists. Further research will however have to examine other specialities to assess the extent to which these findings apply to French sociology as a whole (we may imagine that some specialities are more specialized than others), in possible contrast with the more segmented sociological landscape in the United States (Ollion 2011). By studying the sociology of art and culture, a speciality in which we are ourselves to some extent active, we chose to “study the social world in which we are involved” (Bourdieu 1988: 1). It is also the world in which the journal that is publishing this article is involved. Being neither strictly specialized in the sociology of art and culture nor generalist, Biens symboliques / Symbolic Goods, as a new institution in the academic field, will most likely have an impact on the degree of autonomy of this speciality—which makes it a potential site of future complementary investigation. 2 “Specific investment in the stakes […] is both the condition and the product of membership of a field” (Bourdieu 1993 : 76). 8 Programme du premier congrès de l’AFS, AFS Éditions, Paris, 2004, p. x. 9 Call for papers for the conference “La ‘sociologie des arts et de la culture’ et ses frontières”,2014. 17 Except for a slight drop in 2006, which is difficult to interpret here. 18 Then called “ad hoc group no.1”. 19 As Boudesseul’s paper on the 2004 congress does not include data on status, comparison is impossible for that year. 22 We do not know the disciplinary affiliation for three of these 229 individuals. 26 Created in 1992 under the name Sociologie de l’Art, the journal has been published as Sociologie de l’Art-OPuS since 2002. 30 This table excludes individuals for whom information was unavailable and, regarding the four variables on location, those with careers abroad. 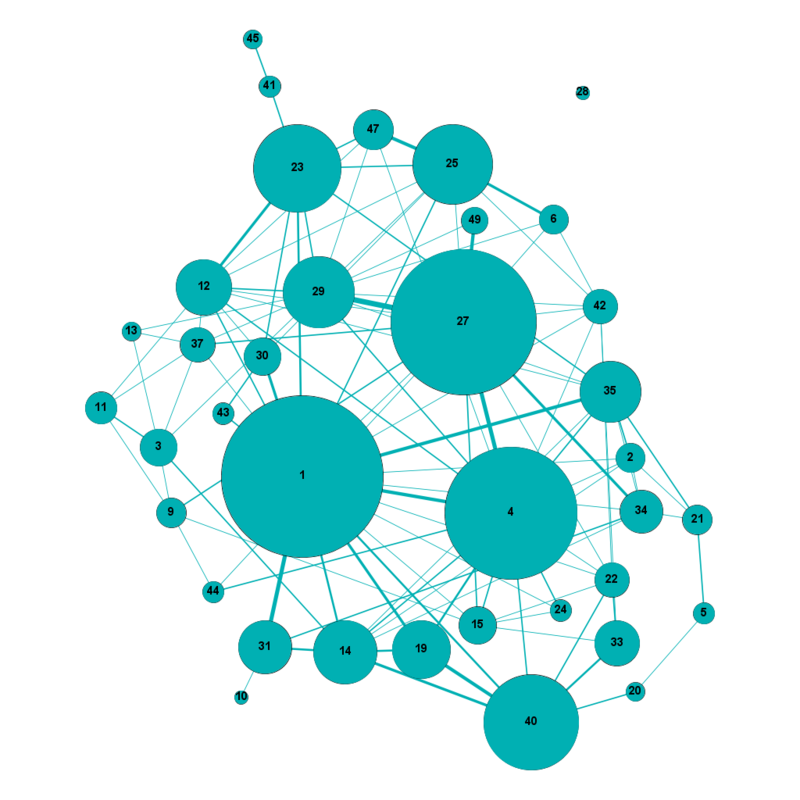 35 This graph is based on the PhD examination panels of 21 individuals and features 52 nodes and 111 ties. 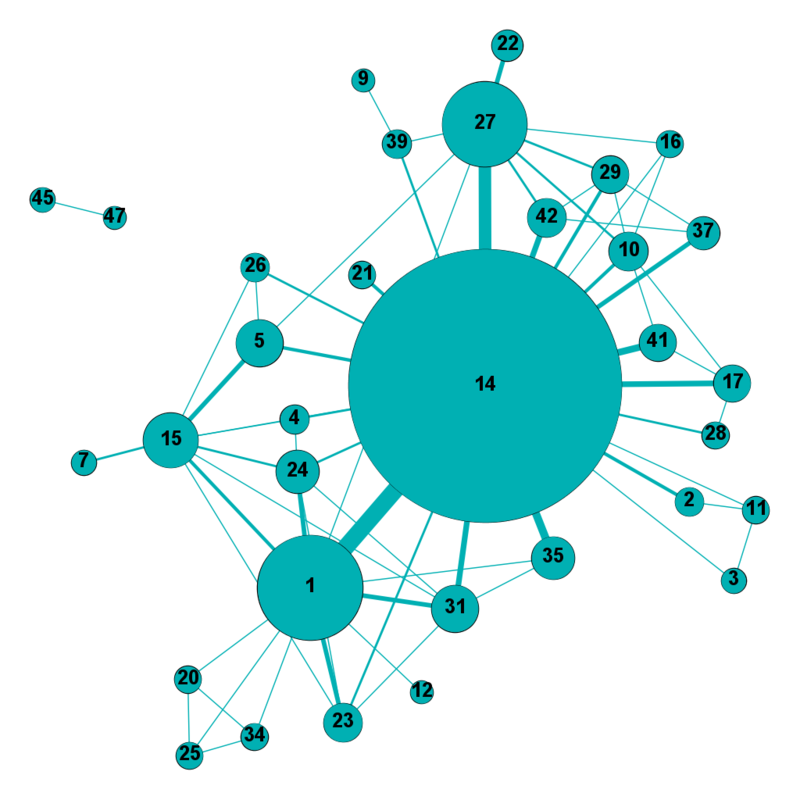 36 This graph is based on the PhD examination panels of 162 individuals and features 176 nodes and 860 ties. Alexandre Olivier (2015). “Upside down. Trajectoire croisée de la sociologie de l’art et de la culture.” In Paradeise Catherine, Lorrain Dominique, Demazière Didier (eds.). Les Sociologies françaises. Héritages et perspectives (1960-2010). Rennes, Presses universitaires de Rennes: 531‑544. Andrew Edward (1983). “Class in Itself and Class against Capital: Karl Marx and His Classifiers.” Canadian Journal of Political Science/Revue canadienne de science politique, 16(3): 577‑584. Beaud Stéphane (2006). “Les angles morts de la sociologie française.” In Beaud Stéphane, Confavreux Joseph, Lindgaard Jade (eds.). La France invisible. Paris, La Découverte: 459‑472. Boudesseul Gérard (2005). “De quoi parlent les sociologues réunis en congrès? Éléments de complémentarité entre une analyse lexicale ouverte et le cumul de variables fermées.” Bulletin de méthodologie sociologique, 85: 68‑84. Boudesseul Gérard (2006). “Brève sociographie du second congrès de l’AFS. Bordeaux septembre 2006.” Bulletin de méthodologie sociologique, 92. [On line] http://bms.revues.org/578 [accessed on 5 december 2017]. Bourdieu Pierre (1976). “Le champ scientifique.” Actes de la recherche en sciences sociales, 2‑3: 88‑104. Bourdieu Pierre (1984) . Distinction: A Social Critique of the Judgement of Taste. English translation by Richard Nice. Cambridge, Harvard University Press. Bourdieu Pierre (1993) . “Some Properties of Fields.” In Bourdieu Pierre. Sociology in Question. English translation by Richard Nice. London, SAGE: 72-77. Bourdieu Pierre (1988) . Homo Academicus. English translation by Peter Collier. Palo Alto, Stanford University Press. Burt Ronald S. (1992). Structural Holes: The Social Structure of Competition. Cambridge and London, Harvard University Press. Cappell Charles L. & Guterbock Thomas M. (1992). “Visible Colleges: The Social and Conceptual Structure of Sociology Specialties.” American Sociological Review, 57: 266‑273. Chauvel Louis (2001). “Le retour des classes sociales?.” Revue de l’OFCE, 79: 315‑359. Chenu Alain & Martin Olivier (2016). “Le plafond de verre chez les enseignants-chercheurs en sociologie et démographie.” Travail, genre et sociétés, 36: 135‑156. Daipha Phaedra (2001). “The Intellectual and Social Organization of ASA 1990-1997: Exploring the Interface between the Discipline of Sociology and Its Practitioners.” The American Sociologist, 32(3): 73‑90. Denord François (2003). Genèse et institutionnalisation du néo-libéralisme en France (années 1930-années 1950) (PhD dissertation, Sociology). Paris, EHESS. Deshayes Jean-Luc (2015). “Le retour des classes est ‘populaire’ à l’Association française de sociologie.” Savoir/Agir, 34: 45‑54. Dubois Vincent (2007). “Culture. Sociologie de la culture », Encyclopædia Universalis. [On line] http://www.universalis.fr/encyclopedie/culture-sociologie-de-la-culture/ [accessed on 5 december 2017]. Durkheim Émile (1960) . The Division of Labour in Society. English translation from French by George Simpson. Glencoe, Free Press. Godechot Olivier (2013). Réseaux socio-intellectuels et recrutement dans le monde académique (Dissertation habilitation à diriger des recherches, Sociology). Paris, Sciences Po. Jacomy Mathieu, Venturini Tommaso, Heymann Sebastien, Bastian Mathieu (2014). “ForceAtlas2, A Continuous Graph Layout Algorithm for Handy Network Visualization.” PLoS One, 9(6): 1‑12. Marx Karl (1984) . The Poverty of Philosophy. English translation by the Institute of Marxism Leninism. Moscow, Progress. Marx Karl (1898) . The Eighteenth Brumaire of Louis Bonaparte. English translation by Daniel de Leon. New York, International Publishing Company. Mauger Gérard (2005). “Quelques problèmes posés par une enquête sur un sous-champ de la sociologie: le cas de la sociologie de la délinquance juvénile.” Communication au colloque du RT27. Limoges, 7-8 avril 2005. Mauger Gérard (ed.) (2006). Droits d’entrée. Modalités et conditions d’accès aux univers artistiques. Paris, Éditions de la Maison des sciences de l’Homme. Mercklé Pierre (2004). Sociologie des réseaux sociaux. Paris, La Découverte (“Repères”). Moulin Raymonde (ed.) (1999) . Sociologie de l’art. Paris, L’Harmattan. Ollion Étienne (2011). “De la sociologie en Amérique. Éléments pour une sociologie de la sociologie étasunienne contemporaine.” Sociologie, 2(3): 277‑294. Péquignot Bruno (2005). “La sociologie de l’art et de la culture en France: un état des lieux.” Sociedade e Estado, 20(2): 303‑335. Saint Léger Mathilde (de) & Van Meter Karl (2005). “Cartographie du premier congrès de l’AFS avec la méthode des mots associés.” Bulletin de méthodologie sociologique, 85: 44‑67. Sapiro Gisèle (2006). “Réseaux, institution(s) et champ.” In Marneffe Daphné (de) & Benoît Denis (eds.). Les Réseaux littéraires. Bruxelles, Le Cri: 44‑59. Sofio Séverine (2009). “L’art ne s’apprend pas aux dépens des mœurs !” Construction du champ de l’art, genre et professionnalisation des artistes (PhD dissertation, Sociology). Paris, EHESS. Sofio Séverine (2013). “Histoire de la sociologie des arts et de la culture: un portrait de la revue Sociologie de l’Art.” Communication presented at RT14, Ve Congrès de l’AFS. Nantes, 3th September 2013. Torny Didier & Trabal Patrick (2006). 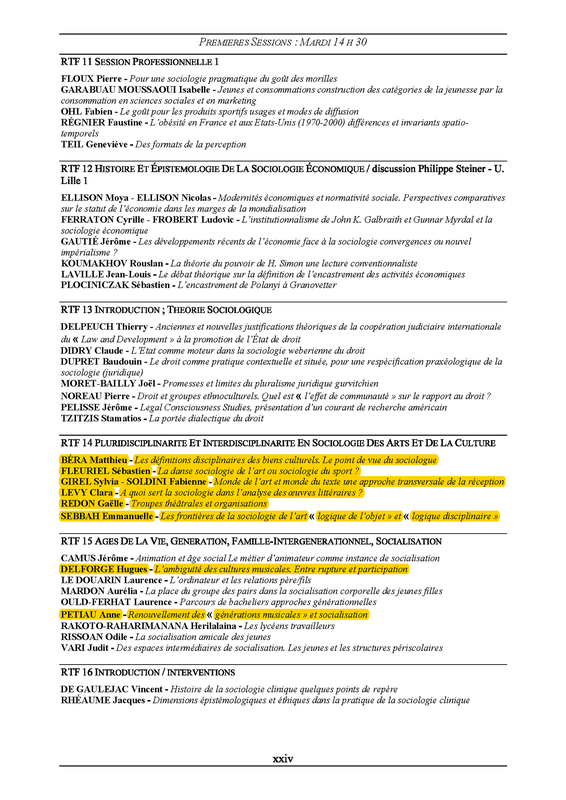 “Le résumé de communication comme objet sociologique. Une analyse thématique, ontologique et littéraire à l’aide du logiciel Prospéro.” In Demazière Didier, Brossaud Claire, Trabal Patrick, Van Meter Karl (eds.). Analyses textuelles en sociologie. Logiciels, méthodes, usages. Rennes, Presses universitaires de Rennes: 23-79. Trabal Patrick (2005). “Le logiciel Prospéro à l’épreuve d’un corpus de résumés sociologiques.” Bulletin de méthodologie sociologique, 85: 10‑43. 1 While we have opted to use the broader and most historically neutral label of ‘‘sociology of art and culture,’’ we are well aware of the debates around the use of the terms “art” and “culture” in the plural. We chose to make a distinction between “art” and “culture” in order to clarify our field of inquiry and avoid the dilemma that using either of them to refer to the two would create. 3 This pair of concepts was formulated by Marxist exegetes; Marx himself identified a “class against capital” (or more exactly a “classe vis-à-vis du capital”) and a “class for itself” (Andrew 1983) in The Poverty of Philosophy (Marx 1984 : 79). Marx also made a distinction between class in the sense of an “enormous mass whose members live in similar conditions” and class whose members enter “into manifold relations with each other” (Marx 1898 : 62). We thank Samuel Coavoux, a fellow contributor to this issue, for originally suggesting this transposition. 4 This hypothesis would need to be verified, for example by conducting interviews, but everything suggests that what applies to the American Sociological Association also applies to the AFS here: “Beyond the socialization that is nourished by the sections, their respective themes confer on researchers a professional identity that is central to their professional trajectory. Many researchers define themselves first in terms of their membership in one of them rather than of belonging to a given theoretical school or using a particular method” (Ollion 2011: 289). 5 Plenary and semi-plenary sessions were not taken into consideration because presenting papers there is much more difficult. Here the terms “thematic network” and “RT” encompass thematic groups (GT) and research groups (GR). 6 Our analysis concerns selected papers—not the presentations that actually took place, as cancellations sometimes occur after the programme has been published. 7 It is worth recalling that the scope of the sociology of art and culture “differs […] strongly depending on scientific traditions: it tends to be narrower in French sociology than in the English-speaking world, where the ‘sociology of culture’ label encompasses sports, clothing, and lifestyles, if not science” (Dubois 2007). 9 Call for papers for the conference “La ‘sociologie des arts et de la culture’ et ses frontières”, 2014. 10 RT8 “Sociology of the military” (around 90 papers between 2004 and 2013, vs 400 in RT1 and 120 on average by RT), RT19 “Health, medicine, disease and disability” (around 200 papers), GT32 “Sociology and complex systems” (≈ 20), RT43 “Sociology and religions” (≈ 80), GT46 “Training, certification, qualification” (≈ 30), GT48 “Professional and family life mix” and “Transformation of social times” (≈ 20) and “GT History of sociology,” which became GT49 in 2015 (≈ 30). The absence of these RTs in our corpus has little statistical significance when their weighting is small. 11 Overall, joint sessions involved 25 out of the 108 individuals, but only 23 out of 255 papers (9%), and 25 out of 344 ties (7.3%). Their influence on the structure of the network is accordingly small. 12 The graphs only feature 39 nodes—not 42, the number of networks which have hosted presentations of papers on art and culture—, as in RT18, RT33 and RT38, scholars presented only one paper in a non-joint session. 13 These numbers do not include “loops,” meaning the ties of a node with itself (in the event where the same individual has presented several papers in the same RT at different congresses). 14 Betweenness centrality is a measure of centrality based on shortest paths between each pair of nodes—i.e., the most direct ones, with a minimal number of intermediary nodes. For each node, centrality is proportionate to the ratio between the number of the shortest paths going through that node and the overall number of shortest paths. Betweenness centrality is therefore very high for nodes through which most of the shortest paths pass. 15 While we have exhaustive data at our disposal on RT14, data on other RTs are only partial (as only the individuals who have presented papers on art and culture are considered) and may only yield an approximation of their level of closure, especially as these numbers apply to small populations—in GT45 and RT28, in particular. 16 Qualification rates give insight into the morphology of the population of sociologists with a PhD—a larger population than that of sociologists with a permanent job, and one that has more similarities with the population of congress speakers. 20 We do not mention the results on the 2006 congress, as Boudesseul’s percentages on the locations of speakers’ institutions of affiliation are particularly vague for that edition. 21 Nine out of the seventeen remaining individuals were never PhD candidates (master’s students, research engineers, etc.). This information is not known for the eight others. 23 The fact that the sociology of culture in particular is not the preserve of specialized sociologists might be related to its influence on sociology as a discipline. Bourdieu’s famous book Distinction (Bourdieu 1979), which has been widely taught and commented on, probably contributed to legitimizing and boosting research in that area. According to Stéphane Beaud, in the early 2000s, the sociology of legitimate culture even replaced the sociology of the working class at the top of the list of the research subjects sought out by sociology students from working-class backgrounds looking for academic and social recognition (Beaud 2006: 469). 25 Cultural journalists, chargé·e·s de mission (task manager) and chargé·e·s d’études (research officer), sometimes for the Ministry of Culture (N=4). 27 We considered the fact that these sociologists had published more than once significant enough in itself to only make a distinction between these two cases. 28 The total number of speakers is below 349 because this table only includes speakers whose degree of objective specialization we were able to establish (N=114) and who are not at the intermediate degree of subjective specialization—neither YES nor NO (N=24). 29 École normale supérieure, rue d’Ulm (ENS), École normale supérieure, Cachan (ENS Cachan), École des hautes études commerciales, Paris (HEC), École des hautes études en sciences sociales (EHESS), Université Paris-Dauphine and Institut d’études politiques, Paris (Sciences Po). 31 The Agence d’évaluation de la recherche et de l’enseignement supérieur (2006-2013) published lists of scientific journals by discipline, hierarchized into categories (A>B>C). In sociology/demography, Sociologie de l’Art-OPuS was ranked B. We do not endorse this ranking, which has attracted much criticism, but consider it as an indicator of the academic value assigned to this journal at that specific point in time. 32 We thank Stéphane Bonnéry, co-head of RT4 from 2013 to 2017 and fellow contributor to this issue, for passing on information regarding the board of that RT since 2013. Data on RT1 and RT27 were collected from the websites of those networks and their pages on the AFS website. We do not have data on the composition of boards before 2013, except for RT14; for that reason, we performed a comparison here on a subsequent period (2015-2017), which is beyond the scope of the period under study. 33 Likewise, it has been asserted elsewhere that the sociology of art and culture, although institutionalized, has been struggling to acquire scientific legitimacy and faces “scientific relegation” (Alexandre 2015: 539 and 542). 34 In order to make these graphs more readable, we excluded panel members with only one appearance; therefore, they do not contribute to structuring the network. Additionally, one obviously needs to be a member of a panel for at least two individuals to be taken into account, meaning that in cases where only the PhD supervisor is known (especially frequent for PhD candidates, except those with two supervisors), they do not contribute to structuring the network. The size of nodes is proportional to their betweenness centrality index. The colours of nodes and ties depend on their modularity class.